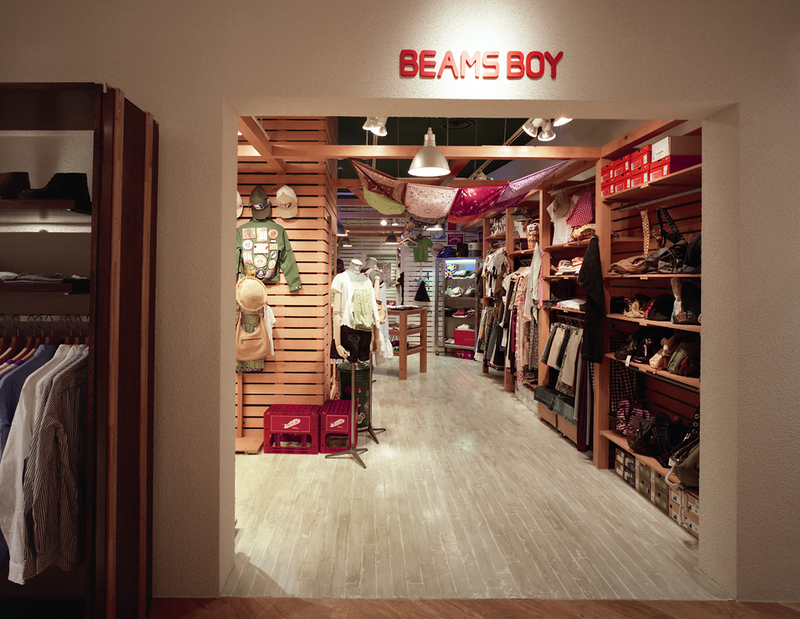 BEAMS men's stores are for men of many age groups. 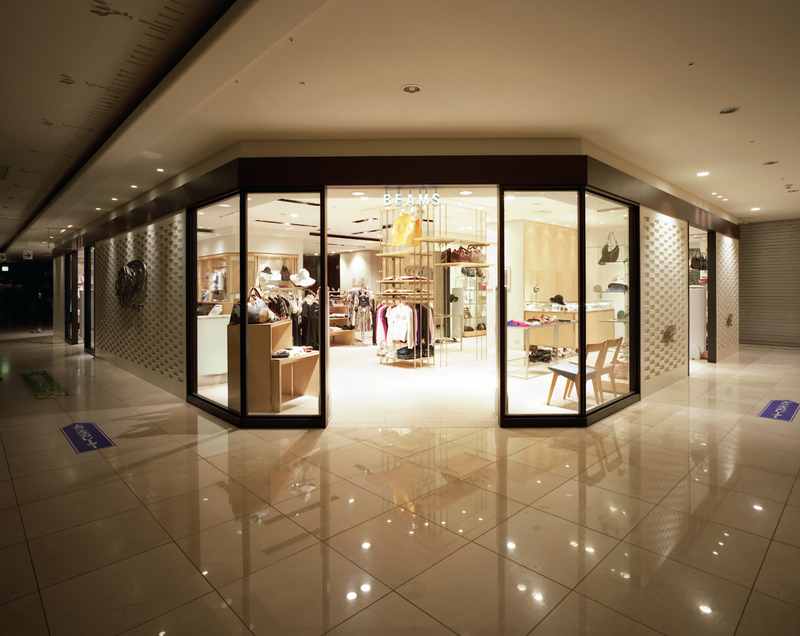 One such store opened anew in one of the Tenmaya department stores popular in the Chugoku and Shikoku regions of Japan. This shop is in a good highly visible location of the department store where there is tough competition between surrounding shops. However, the 1st and 2nd floor sales areas that were given to BEAMS make a complicated sharp turn and customers tended not to venture there. Therefore, the biggest question was how to turn the weakness of what we may call dead space into a strength. In the drafting stage, Jamo familiarized itself with the branding direction and target consumers for each section and gave the dead space a strong design, thus turning the poor visibility into a way to increase foot traffic by creating a heightened sense of adventure in exploring the store. 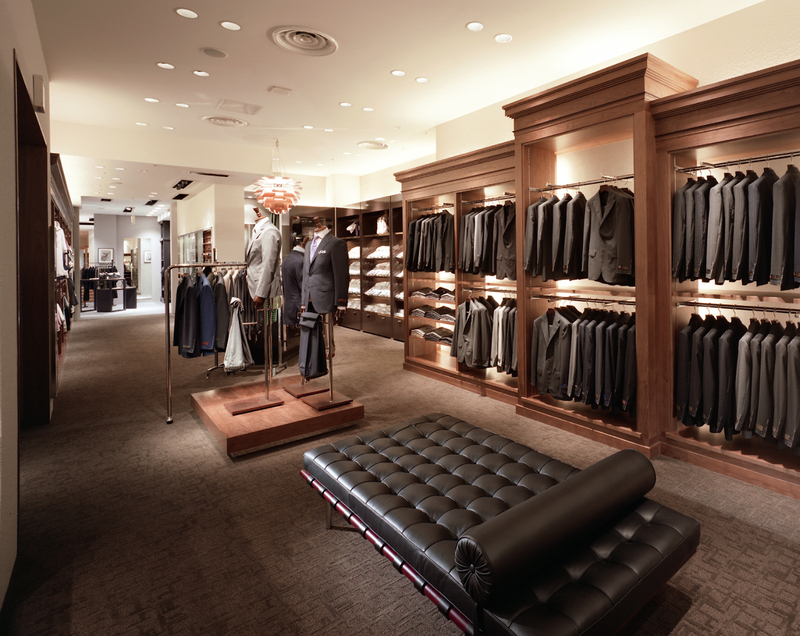 Boundaries were made more permeable between areas such as those where couples shop casually and those where gentlemen can find finely tailored clothing, etc. 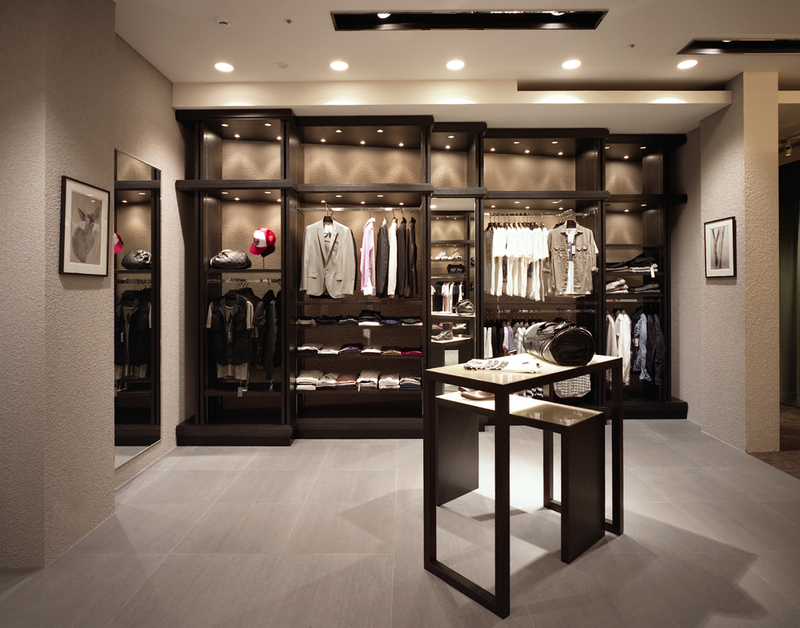 In doing so, the store has both a greater sense of coherence and also offers shoppers the feeling of an enjoyable excursion.